* With your library card, you can check-out a total of 125 items. ** Charges or fines of $10.00 or more will result in the suspension of library privileges. 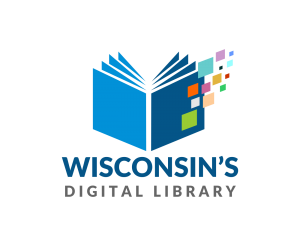 The Mukwonago Community Library has established a materials recovery program to encourage library patrons to return books and other materials on time. The library sends you an overdue notice. The library sends you a third overdue notice that includes fines and replacement charges with processing fees. Items are sent to the lost status and the patron’s account is billed with the replacement cost of the items. Accounts will be sent to Unique Management Services. A service charge of $20.00 will be added to your account. Unique Management Services will contact you to request the return of the overdue materials and payment of all outstanding charges. Over the next 120 days the collection agency will make multiple attempts to contact you. If you do not return the overdue materials and complete or establish a payment plan, your account will proceed to the next stage listed below. Unique Management Services reports your overdue account to a credit reporting agency which may affect your credit rating for up to seven years. For more information on the Materials Recovery Program, please call 262-363-6411 or visit the library. Thank you for helping us ensure that everyone has access to materials in the Mukwonago Community Library collection.